The preferred adhesive of mosaic artists! 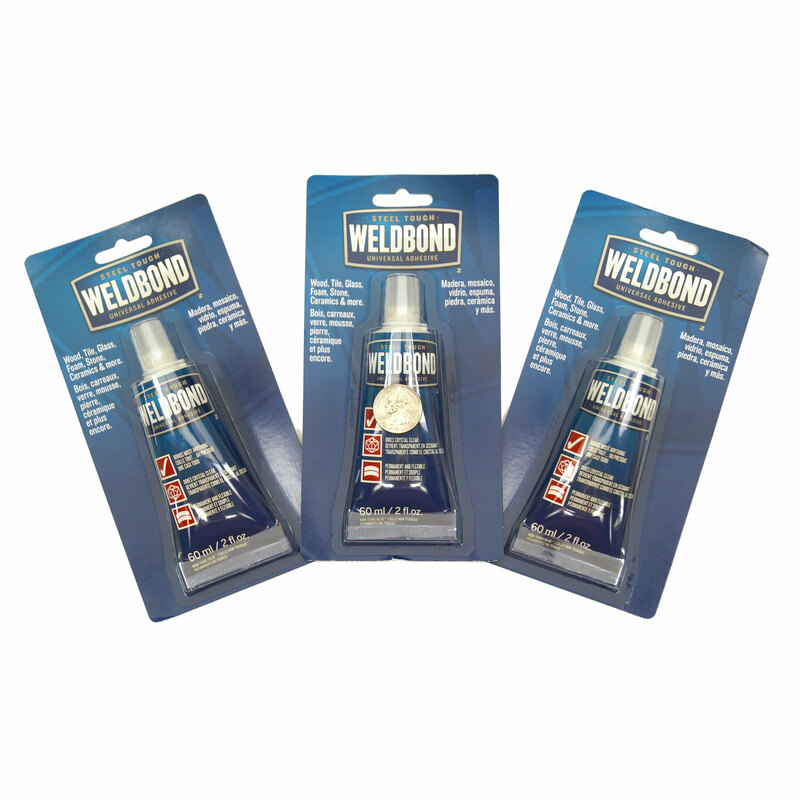 Popular Weldbond adhesive is available in a handy 2 oz. tube! 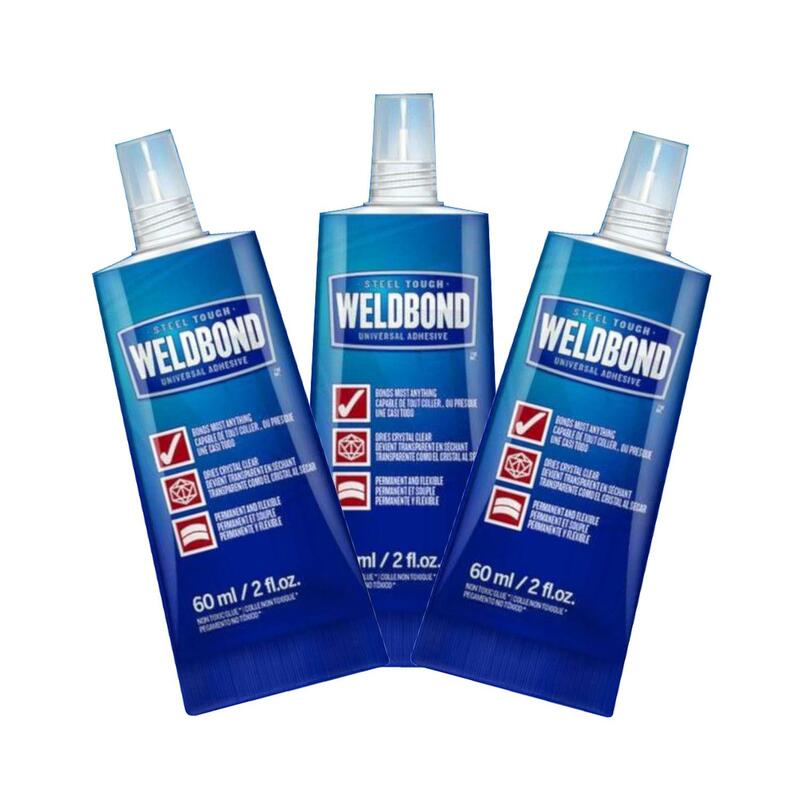 Non-toxic, acid-free and multi-functional, Weldbond will adhere to hundreds of materials, including cement, concrete, bricks, plaster, metal, glass, wood, tiles and more. It is the preferred adhesive of mosaic artists. The 2 oz. size keeps glue from drying out. Pack of 3. Not for use in a kiln. Mix Weldbond with water, and you get an incredible strengthening agent, which is great for adding to concrete to create super-durable stepping stones. 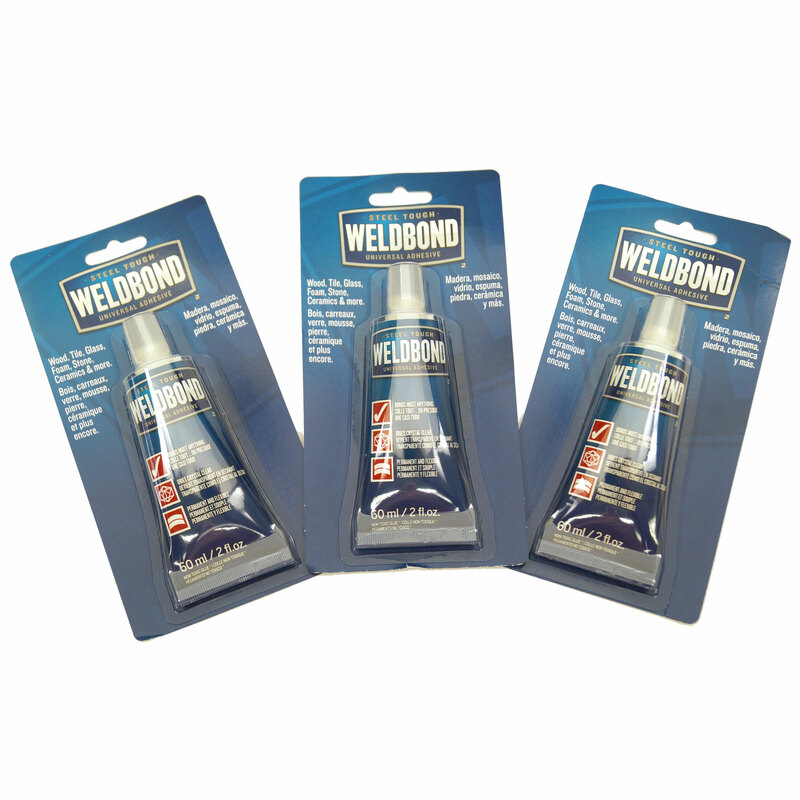 Mix 1 part Weldbond to 5 parts water for an exceptional sealant for preparing mosaic surfaces. 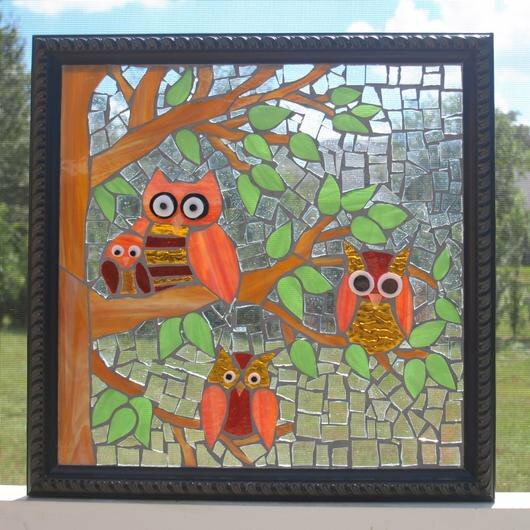 Glass on glass owl mosaic by artist Shelly Wood of ARTful Salvage from Delphi's Online Artist Gallery. 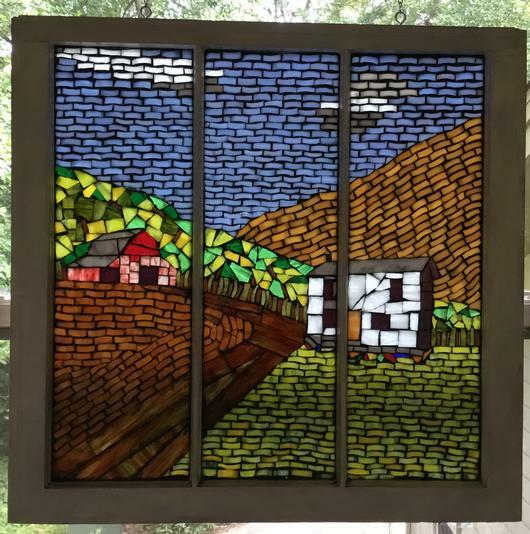 Glass on glass farm scene by artist David Cargle, from Delphi's Online Artist Gallery.